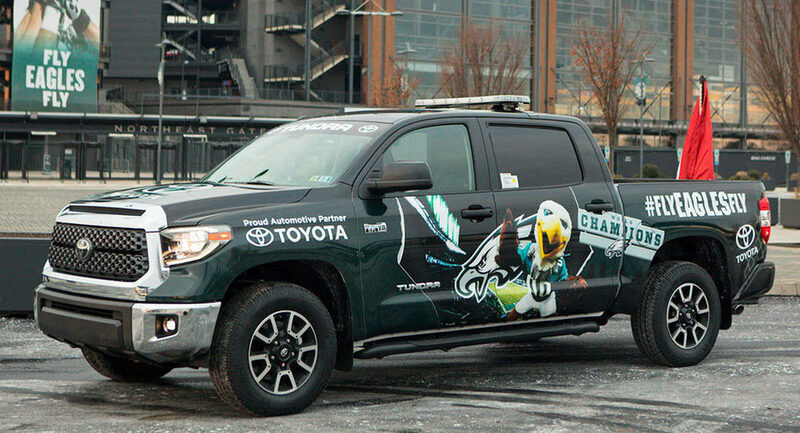 A 2018 Toyota Tundra CrewMax TRD truck played pace car for the Philadelphia Eagles’ championship winning parade last week, following the team’s massive win over the New England Patriots in Super Bowl LII. 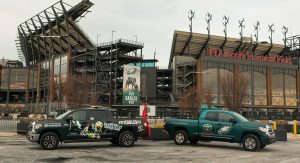 The truck’s black exterior was fully wrapped with Eagles iconography, boasting team colors, a couple of hashtags, pictures of the team mascot and more. 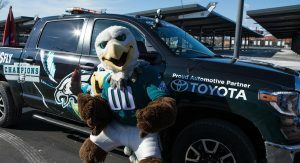 Even though Hyundai is the automotive sponsor of the National Football League, Toyota directly sponsors the Eagles. Since this was Philadelphia’s first ever Super Bowl trophy, last week’s celebrations turned out to be pretty wild, with some rowdy fans even flipping cars over and jumping off hotel awnings. 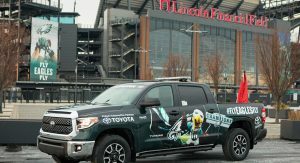 Still, the parade itself went smoothly, as Eagles players and staff were led by the Tundra through the city’s streets, flanked by thousands of enthusiastic fans. The parade concluded on the steps of the Philadelphia Museum of Art, also known as the “Rocky Steps”, for obvious reasons. 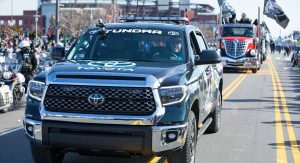 With a towing capacity of up to 10,200 lbs (4,626 kg), the 2018 Tundra is available in multiple configurations, boasting Toyota Safety Sense P (TSS-P) active safety tech on all grades. 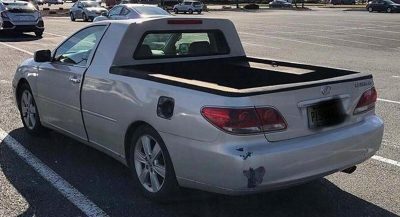 did they wreck the truck to just like they did to their city?